As Americans, we often find ourselves pining for the bizarre fast food creations lavished upon foreign markets but deemed unworthy of being added here in the States. Until recently, black hamburgers could be included in that conversation. Last year, black burgers made a huge splash in Japan but never quite made it on this side of the Pacific. 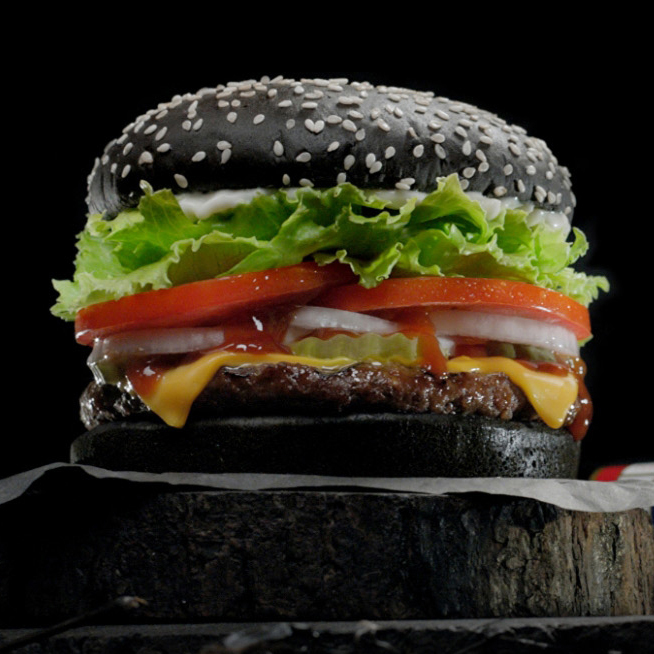 Recently, however, Burger King finally decided to take Americans up on their interest in black burgers, using Halloween as the perfect tie-in to start selling an A1 Halloween Whopper with a scary black bun. But turns out there’s a little secret the Japanese had been keeping from us that’s as frightening as seeing Godzilla rise from the ocean: Black burger buns apparently turn your poop green. Now, granted, yours truly has not experienced any oddly hued excrement issues, but if Twitter is to be believed—and Twitter should always be believed—a Burger King–inspired green poop phenomenon is sweeping the nation. As First We Feast discovered, plenty of anecdotal evidence exists on social media to lead us to believe that green poo from Halloween burgers is probably more than a fun rumor. Seems like the A1 Halloween Whopper may be as much of a trick as it is a treat. Just had the Halloween Whopper from @BurgerKing and my poop was a blue/green color.why?